George H.W. Bush and the Rev. 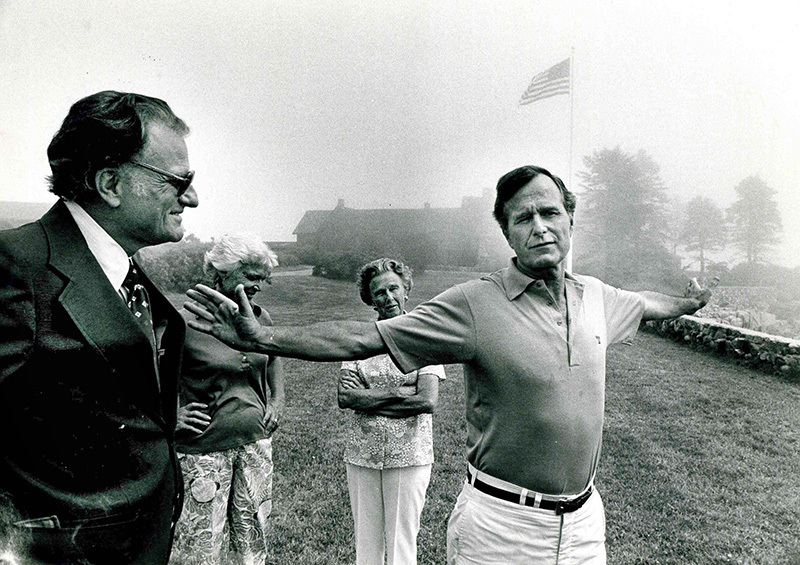 Billy Graham, left, on the lawn at Walker’s Point in Kennebunkport with First Lady Barbara Bush and his mother Dorothy Walker Bush in August, 1980.